If I could give a 10+ out of 5, I would! Two important details of our wedding were food and music! Food was easy... Finding a dj/band took some time. 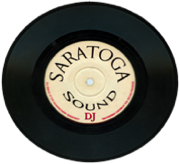 After reading countless reviews such as this we came across Saratoga Sound DJ. Listening to their acoustic music and DJ skills we knew we found something special. After meeting with them we were certain they were the ones for us. Karen and Paul are professional, sweet, talented and an outright pleasure to work with. The live music they provided for our ceremony and cocktail hour was amazing and they lit up the dance floor for our reception with their excellent DJ skills. There wasn't a request too big for them to do and their attention to detail was incredible. We received countless of compliments from our family and friends. I would recommend Karen and Paul to anyone and everyone looking for that special added touch to their big day. We could not have been happier with our choice and will alway be so grateful to Karen and Paul for all you provided us on our special day. 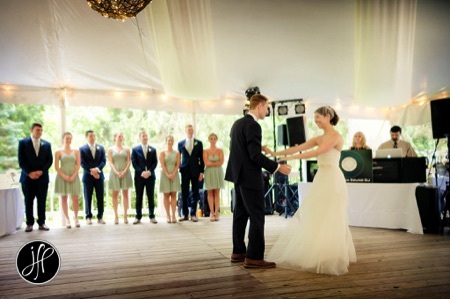 With over 2,000 weddings and events, we have the experience to create the perfect atmosphere for your special day. No gimmicks or props... just great dance music with your personal touch!